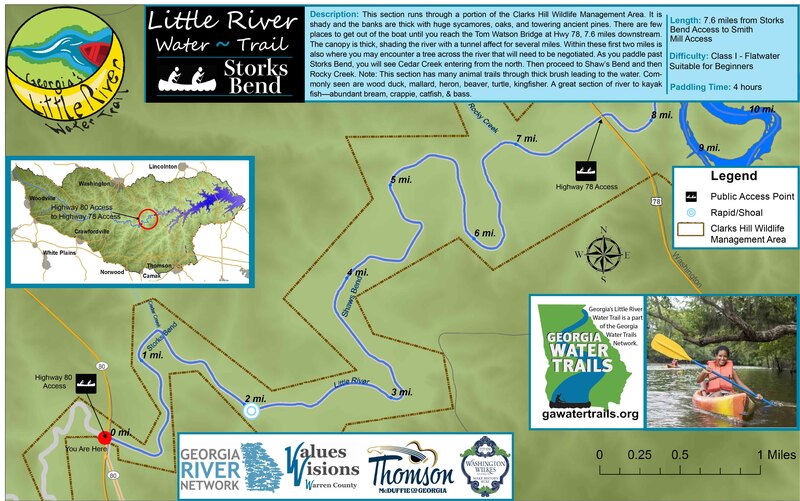 Georgia’s Little River Water Trail is an intimate river with a wide array of wildlife and a rich history from gold mines, Quaker settlements and Native Americans. 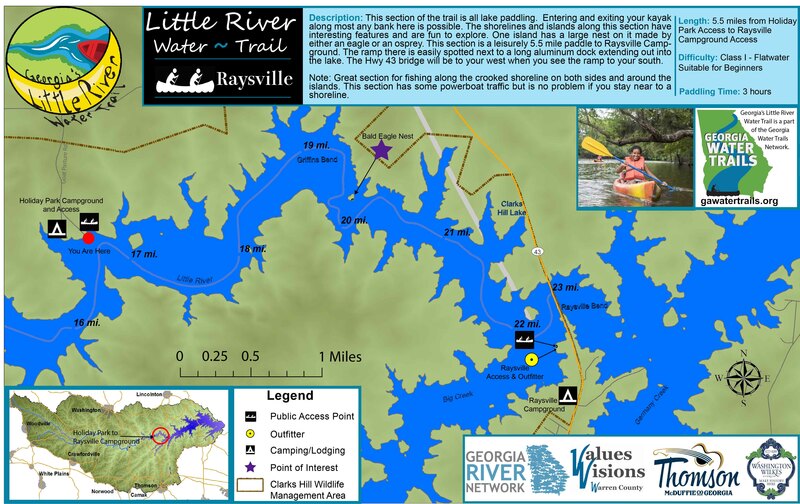 The trail coasts 20 miles along the McDuffie and Wilkes County lines from the Woodruff Bridge at Highway 80 to Raysville Campground on Clarks Hill Lake. 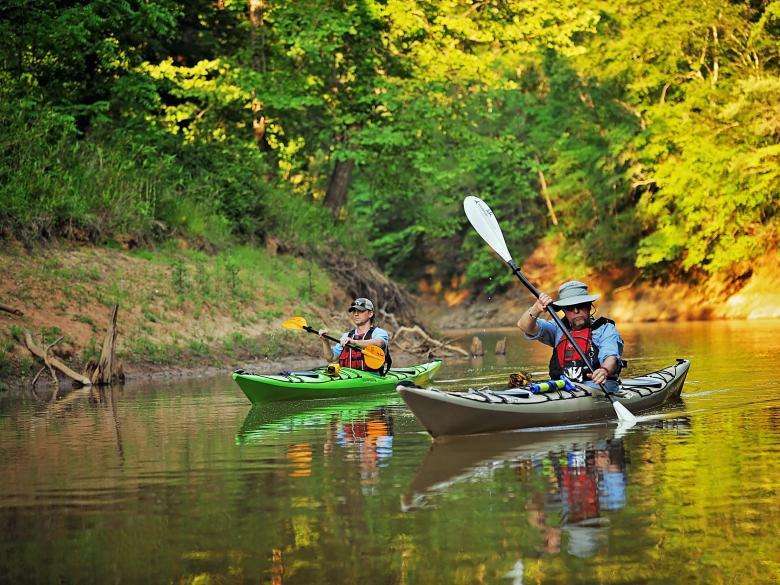 Our mission is to help you discover a bend in the river where society fades and nature awaits to greet you. 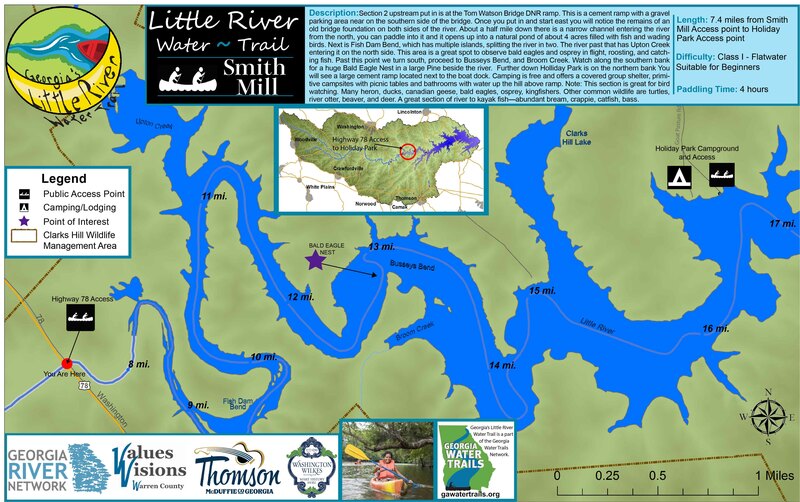 The goal of the river is to celebrate the areas natural resources through conservation and recreation. 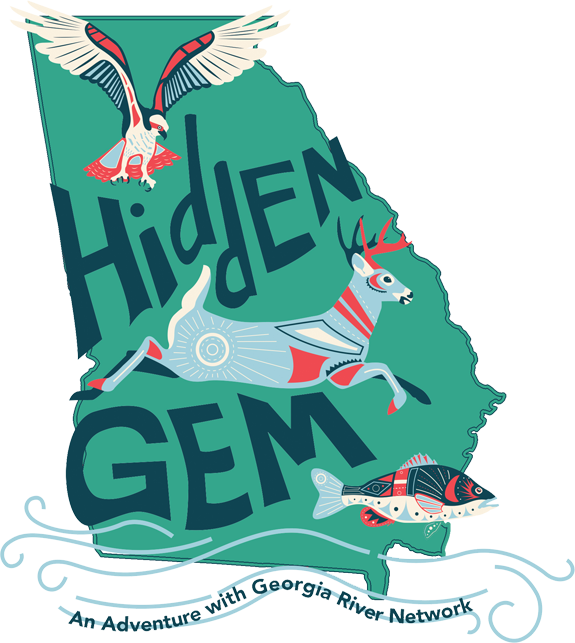 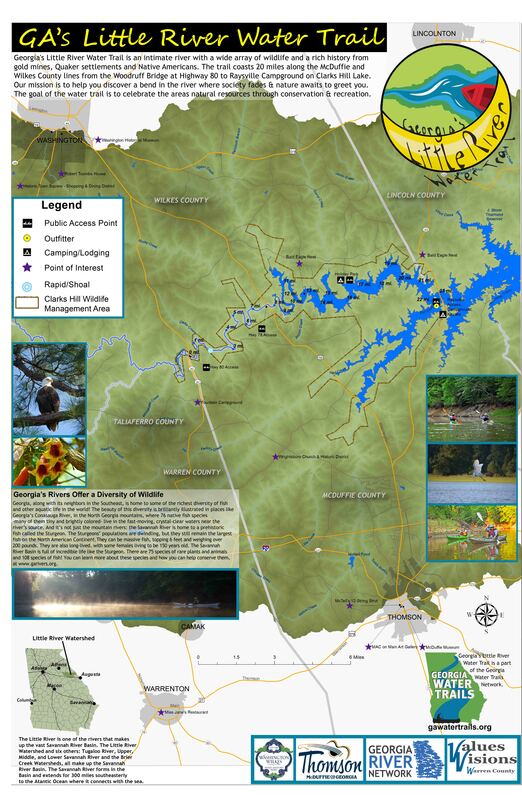 Check out the GLRWT Illustrative Watershed and Section (1,2,3) Maps produced by Georgia River Network!